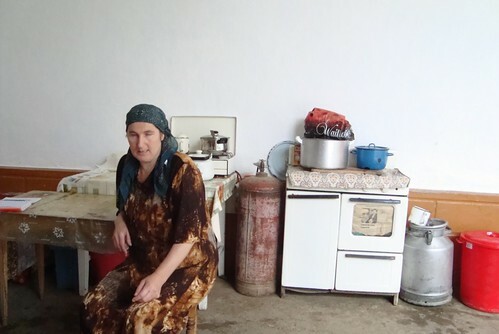 In 2009 Peacebuilding UK began a partnership with the Chechen NGO ‘Dobrota’ to assist them in their work with women and families in the Caucasus. Dobrota aims to bring together vulnerable people and to help them find the means to look after themselves and their families. Dobrota is based in Grozny, and is run by a team of national project staff and international volunteers. The organisation has a network through the country and works with other local NGOs to identify the most needy. Dobrota focuses on women in rural and mountainous areas who have lost the male members of their families during the war and have no means to support themselves or their children. Currently Dobrota is assisting a group of 25 women from different regions in Chechnya to develop sustainable income generation projects suitable to the environment. The women have chosen their own projects, such as livestock rearing and small-scale agriculture. Many people in Chechnya do not have access to the kind of health facilities where chronic and severe illnesses can be treated. Dobrota has already raised the funds to send one child to another Russian city in order to have a life-changing heart operation. Despite the presence of international relief agencies for a number of years, many vulnerable households have not received any kind of assistance and are still struggling to make ends meet. Dobrota has gathered information on a number of such families who will receive special assistance packages in the future according to their particular needs.